Date of birth: June 10, 1970. 1985-1988 – Military High School, Chisinau. 1988-1992 – Higher Military Command School of Engineers, Kamenets-Podolsk, Ukraine. 1999 – Military Institute of Foreign Languages, Hurt, Germany. 1999 – Battalion Commander Course, Storkow, Germany. 2002-2004 – National Defense University, Bucharest, Romania, Command and Staff Faculty. 2011 – National Defense College, Bucharest, Romania. 2013 – Academy of Public Administration, Chisinau, master degree. 1992-1993 – Engineer Platoon Commander, Engineer Battalion, Air Assault Division, Ministry of Defense of the Russian Federation. 1994 – Engineer Technical Platoon Commander, “Codru” Engineer Battalion, Demining Platoon Commander, Peacekeeping Battalion, Republic of Moldova Peacekeeping Forces. 1995-1996 – Engineer Company Commander, “Dacia” Light Brigade. 1997 – Infantry Company Commander, Peacekeeping Battalion, Republic of Moldova Peacekeeping Forces. 1997-2000 – Chief Assistant, Engineering and Chemical Service, “Dacia” Infantry Brigade. 2000 – Chief of Staff, Demining Detachment, Republic of Moldova Peacekeeping Forces. 2000-2002 – Chief of Engineering and Chemical Service, “Dacia” Infantry Brigade. 2004-2005 – senior staff officer, Engineering Insurance Section, General Staff of the National Army. 2005 – Commander of Mine Disposal Unit. 2005-2006 – Chief of Engineer Service of the National Army. 2006 – Commander of Republic of Moldova military contingent, Multinational Forces – Iraq. 2006-2007 – Chief of Military Compound, Guard Battalion Commander. 2008 – Commander of Republic of Moldova military contingent, Multinational Forces – Iraq. 2007-2009 – Deputy Chief of J2 Intelligence Section, General Staff of the National Army. 2009-2010 – Chief of J7 Doctrine and Training Directorate, General Staff of the National Army. 2010 – Deputy Chief of Main Staff of the National Army, director of Main Staff. 2011-2013 – Chief of Main Staff of the National Army, commander of the National Army. 2013-2016 – Military reprezentative of the Republic of Moldova to NATO and EU. 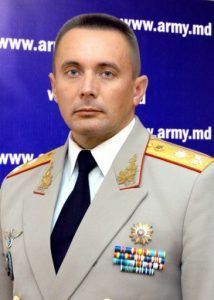 2016 – present – Head of the Military Department, Technical University of Moldova. De-mining missions of the national territory, during 1994 – 2008. Demolation missions for III category ammunition, during 2004 – 2008. Peacekeeping mission in the security zone of the Republic of Moldova 1994. De-mining missions (mine field clearance) in Copanca, Chircăieşti, Chiţcani – 1994. The peacekeeping mission in the security zone of the Republic of Moldova 1997. De-mining missions (mine field clearance) in Pohrebea – 2000. The humanitarian mission in the Multinational Forces Iraq (Tikrit, Ashraf) EOD missions, de-mining missions (mine clearance) – 2006. The humanitarian Mission in the Multinational Forces Iraq (Mosul) EOD missions, de-mining missions (mine clearance) – 2008. Military Merit Medal – 2000. Military Order the Homeland Faith III gr. – 2006. Military Medal for Bravery – 2008. Foreign languages: Russian, English, German. 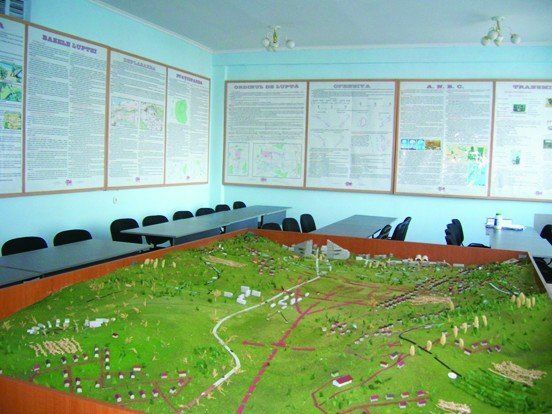 The Military Department of the Technical University of Moldova (TUM) was established in accordance with the Decision of the University’s Senate of 29.10.2002 and the Rector’s Order nr.758-R of 18.11.2002. 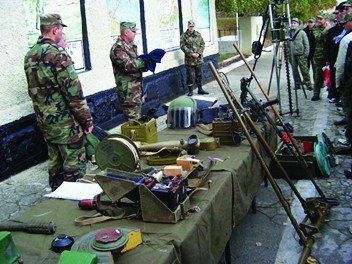 The primary mission of the department is to train qualified reserve Non-Commissioned Officers (NCO) and reserve soldiers for the Armed Forces, loyal to their Homeland and to the Republic of Moldova, with high theoretical knowledge and practical skills of the military specialty, able to conduct combat operations at any moment, individually and within the squad/team. Department headquarters is located in Chisinau, Botanica sector. Also, the department has representative offices in Râşcani and Center sectors of the capital, as well as in Balţi and Soroca municipalities. Since the establishment of the Department, about 20,800 people have graduated from Military Training Course, including 1098 females. Graduates of the Reserve NCO Training Course may be enrolled at Reserve Officer Training Course conducted at the Military Academy. Military Department graduates can apply for employment at the main ministries as: Ministry of Defence (National Army), Ministry of Internal Affairs (Carabineer Department, Border Police Department, Civil Protection and Emergencies Service), Ministry of Justice (Department of Penitentiary Institutions), State Protection and Guard Service, National Anti-Corruption Centre, Ministry of Finance (Customs) and other institutions which require military training for its potential candidates. Currently, Department consist of 19 lecturers. The lecturers have a rich experience in organizing and conducting training process gained during the military service in the National Army and elsewhere. Among the lecturers, there are participants of various military conflicts and international missions, including at combat operations for defending the territorial integrity and independence of the Republic of Moldova. 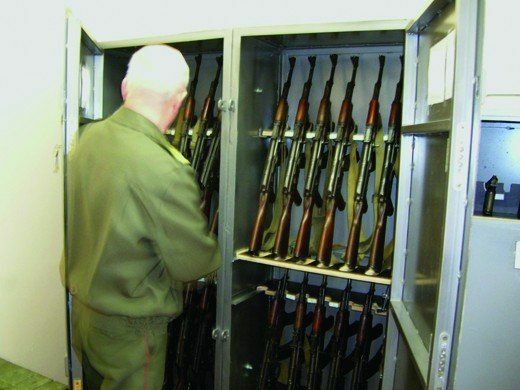 The training course at the Military Department is a form of military service. Training is carried out by compulsory attendance in accordance with weekly schedule (3-4 days per week, 3-4 hours a day). Training at the Department is carried out from February to June and September to December. To the Military Training Course are admitted students and graduates of the Technical University of Moldova, as well as of other higher educational institutions, including private ones. From 2017 to the course are accepted also college (center of excellence) students of the last (graduation) year of studing. Students and graduates of higher education institutions are trained according to reserve NCOs programme and college students – according to reserve soldiers programme. Military training is conducted in accordance with the requirements appropriate to training demands for the National Army’s soldiers and NCOs. Apart from the theoretical sessions coducted in the classrooms, the training program also contains practical sessions wich are conducted within the Combat Units of the National Army. 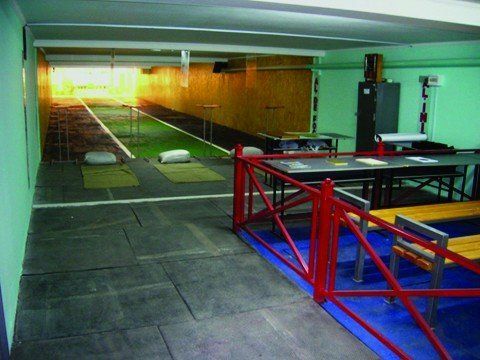 The main practical activities are: live firing execises conducted at the shooting range of the Military Training Base Bulboaca; engineers practical sessions at the Training Center Negreşti; practical sessions and familiarisation with weapons and military equipment and vehicles of the Army’s military units; demonstrative live firing exercises at the Military Training Base Bulboaca, etc. 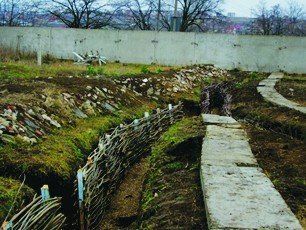 As part of the tranees’ military-partiotic education, there are organized and conducted visits to the Center of Military History and Culture in Chisinau municipality, visits to the military units Open Door Days, visits to the Memorial Complex „Eternitate” and Memorial Complex „Capul de pod Şerpeni”, etc. Graduates of the Reserve NCOs Training Course – reserve soldier and reserve sergeant. The Military Training Course concludes with the solemn swearing of Military Oath, receiving a military rank and afterwards the graduates are directed to the Territorial Military Centre of his residence region to fill up the military record. 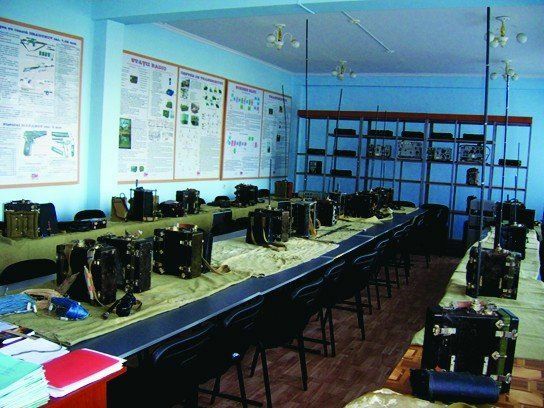 Military Department has 16 classrooms designed to conduct theoretical lectures; shooting hall and sports hall; tactical area of infantry platoon defensive position; marching area; NBC protection suits; equipment and resources required for military engineers and communications and information specialists training and IT; radios; computers and printers. To the Military Training Course are admitted students and graduates of the higher education institutions, college students of the last (graduation) year of studing, from age 18 to 32 years, citizens of Republic of Moldova, physically fit for military service.